Anne's Food: Crochet a cat! I'm pretty sure I'll be making a few more of these. If you crochet, it's a fun and easy project, so join up! 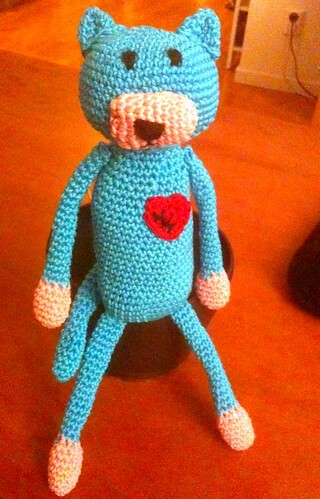 Anne, I LOVE your little crocheted heart-kitty!! She will definitely bring joy (and a BIG smile) to a sick child!! Love the idea and I loved that you named her Edith after your little kitty that had heart disease! That's a very sweet idea. Your cat will make some poor kid very happy.